NEW YORK, NY--(Marketwired - March 18, 2014) - High-powered research teams supported by the Crohn's & Colitis Foundation of America (CCFA) are gearing up for an ambitious new goal: developing individualized treatment approaches for patients with Crohn's disease and ulcerative colitis (UC), also known as inflammatory bowel diseases (IBD), through their Genetics and Microbiome Research Initiatives. "We anticipate that in the next three to five years, we will have isolated microbial targets and develop strategies that will form the basis for new therapeutic interventions," said R.Balfour Sartor, M.D., CCFA Chief Medical Advisor and Midget Distinguished Professor of Medicine, Microbiology & Immunology, and Director of the UNC Multidisciplinary IBD Center. Fundraising programs like Take Steps are driving forces behind the advancements that have been made in IBD research. Take Steps is the Crohn's & Colitis Foundation of America's national walk program dedicated to raising funds for critical research and increase awareness of Crohn's disease and ulcerative colitis. For the third year in a row, the Crohn's & Colitis Foundation of America (CCFA) earned a 4 out of 4 star rating from Charity Navigator, the nation's largest independent evaluator of charities, "indicating that the Crohn's & Colitis Foundation of America consistently executes its mission in a fiscally responsible way, and outperforms most other charities in America." Take Steps walks are family friendly festivals with activities for everyone including games, music, and great food. Now in its seventh year, Take Steps is gearing up for its spring season with over 80 walks scheduled across the country. 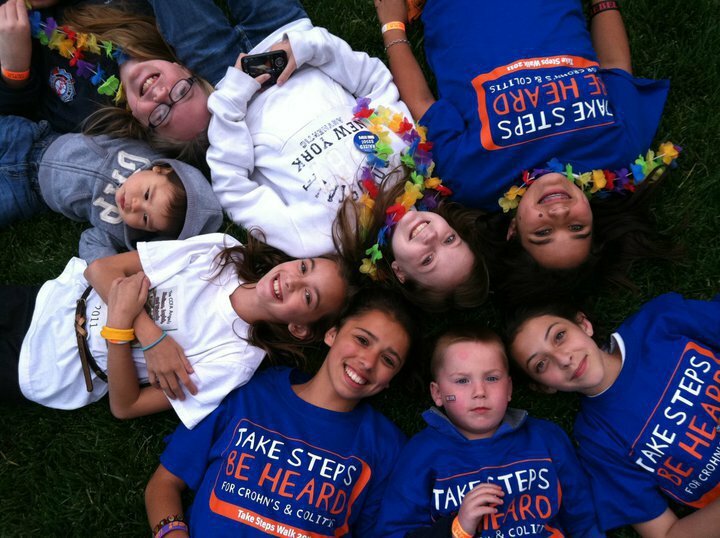 For more information on how to get involved with Take Steps and to find a 2014 spring walk site nearest you, please visit www.cctakesteps.org. Take Steps is supported in 2014 by Abbvie, our platinum sponsor. The Crohn's & Colitis Foundation of America (CCFA) is the largest voluntary non-profit health organization dedicated to finding cures for Inflammatory Bowel Diseases (IBD). CCFA's mission is to cure Crohn's disease and ulcerative colitis, and to improve the quality of life of children and adults who suffer from these diseases. The Foundation works to fulfill its mission by funding research, providing educational resources for patients and their families, medical professionals, and the public, and furnishing supportive services for those afflicted with IBD. For more information, visit www.ccfa.org, call 888-694-8872, join us on Facebook at www.facebook.com/ccfafb and www.facebook.com/ccfatakesteps, or follow CCFA and Take Steps on Twitter at www.twitter.com/ccfa and www.twitter.com/takesteps.